When it comes to shredding documents, you might think that it’s easier and cheaper to do it yourself. However, the repetitive task with commonplace equipment can leave you shredding for hours, wasting your time and time costs money. You may potentially compromise document security if the shredded files are allowed to remain in the workplace. In this article, we’re assessing the many reasons why you should outsource your document shredding. If you are using an office shredder, chances are you will be shredding documents extremely slowly in comparison to those using a shredding service. You might end up spending extra money to maintain the shredder, as over time it will jam, wear out or become faulty – second-rate blades are known for becoming blunt quickly. This means that your security may be compromised and your time will be wasted due to attempting to shred documents in-house. If you choose to shred your documents in-house, you run the risk of a security responsibility falling to your employees instead of on a trusted, external service. Some employees may neglect using the shredder if it’s not working properly or they don’t have enough time. If they choose to throw things in the bin, the chances of your sensitive documents being recovered are increased. Even if you are using your office shredder effectively and everyone in the office is shredding documents as they should, the shredded material is usually then simply based in the bin. While many people think this is enough, shredded material needs to be disposed of by professionals to be truly secure and efficiently recycled. Ensure you comply with regulations: Depending on your industry, some documents must be correctly disposed of and if they are not, you may be at risk of your business being penalised. Outsourcing your shredding means you can be sure of your compliance. 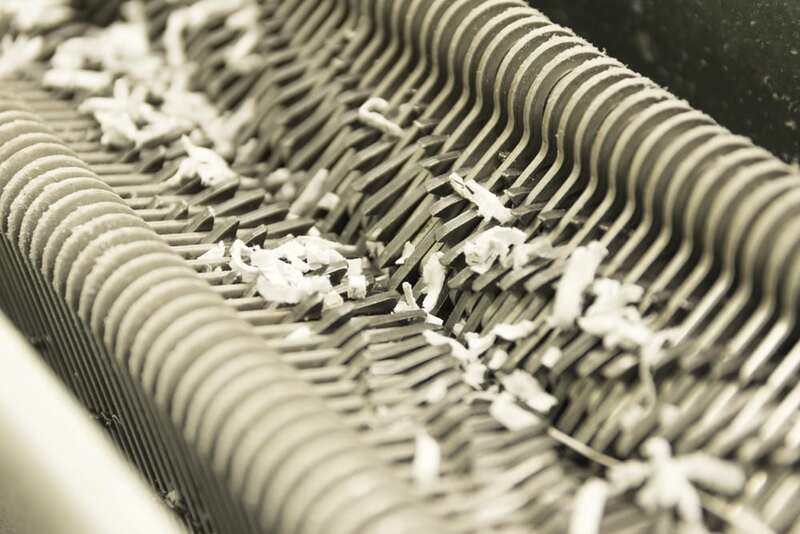 Save you time and money: Forget expensive shredding machines that constantly need repairs and maintenance. Don’t worry about yourself or your employees wasting precious, paid hours by shredding. Outsourcing your shredding will save you time and money that you can put back into your business. Privacy is Ensured: Your employees usually have no choice but to see documents as they are shredding them. However, outsourced shredders collect all documents in a locked bin and are able to shred up to six tonnes of paper in an hour, rather than one by one. This way, the privacy of your documents is ensured. Destroying your sensitive documents professionally will maintain your peace of mind, saving you money and time. In Confidence will handle your documents and issue you with a Certificate of Destruction upon completion. Contact us in Melbourne today for further enquiries and a competitive quote.